After a holiday in France, an English woman opens her suitcase and out comes a French doll who speaks only French. They remember all the colour and atmosphere of the South of France and the doll, Lola, wants to be back there. The children are encouraged to make friends with Lola to help her feel at home in England. 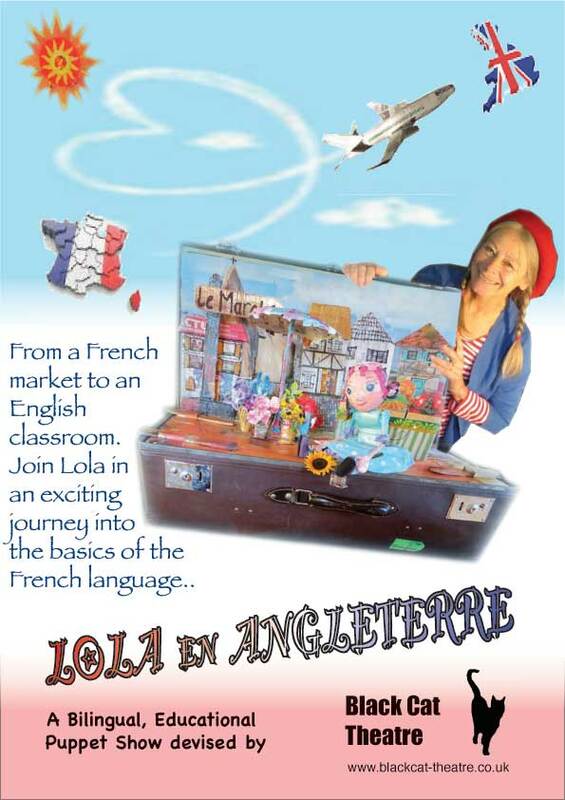 Entering into Lola’s world the children are immersed in an enjoyable and positive experience of the French language and culture. 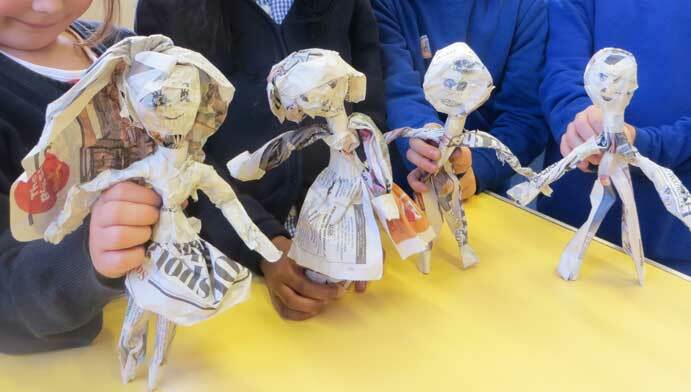 Based on topic areas for key stage 2, this bi-lingual puppet show provides an exciting visual stimulus to introduce new vocabulary and reinforce the children's learning of the French language. Repetition of everyday keywords and phrases enables students of all abilities to understand the story. With the opportunity to respond they gain confidence and the inspiration to learn French. 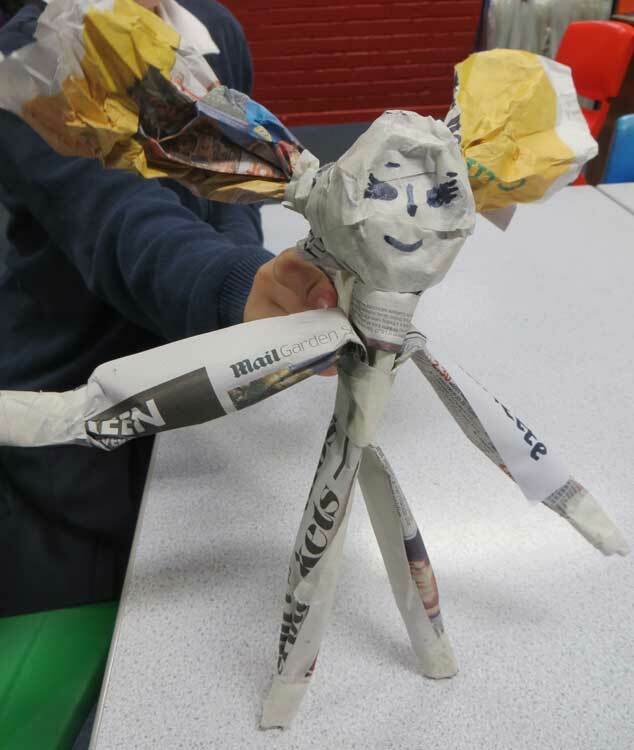 Classroom resources are provided to support teachers in preparation and follow-up work, enabling children to gain maximum benefit from the performance and post-show workshops. Following the performance Diana will work with children in small groups, using puppets in a fun and creative way to reinforce French words and phrases used in the show. This tabletop theatre show takes up very little space and is quickly set up. Duration: 35 minutes, 30 minutes for setting up and 15 mins for get-out. Audience: KS2 (7-11 year olds). Maximum 2 classes per performance. For show: 2 square metres. Benches or chairs for 2 back rows. For workshop: a space with room at a table for each child. Cost £300 for one day consisting of the show + workshops + resources. Bookings may involve additional transport costs. 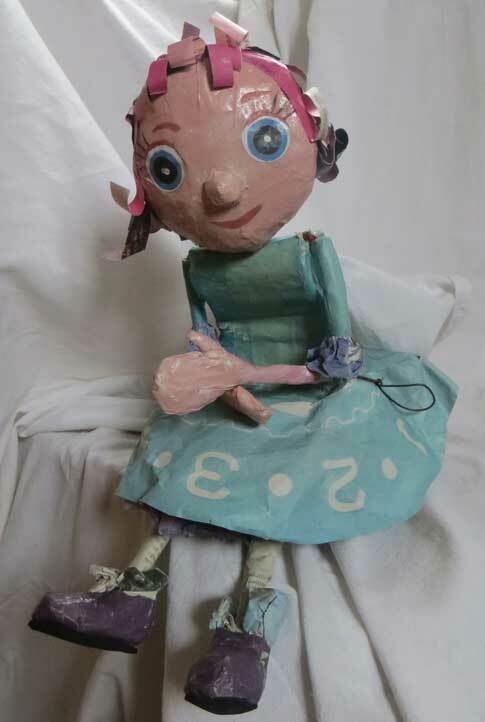 French puppet making and talking workshops are also available.